You spend $2 on bananas and a week later, you’ve eaten only one, and just toss the rest of them in the trash. Bananas have a short period of time when they’re actually good to eat. YouTube user Vijaya Selvaraju in a video demonstrates how to prevent banana browning by using plastic wrap! -wrap each tip individually with plastic wrap, making sure it’s tightly secured. 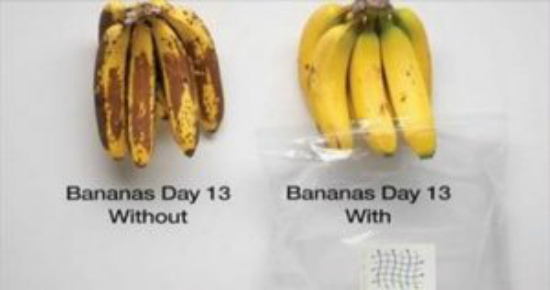 The gas -ethylene, causes bananas to ripen quickly but covering the stems helps prevent that gas from being released.